We have three beautiful wedding shops located in London, York & Harrogate. In each of our shops we offer a large variety of wedding gowns in many styles and shapes. Below you'll find out a little bit more about our three bridal boutiques. Our London boutique was the first of our three bridal shops and has been open for over 25 years! It is located in central London on Marylebone's iconic red bricked Chiltern Street. Nestled on a quaint little street in the historic city of York sits our second beautiful bridal boutique. The shop is close to many cafes and bars, perfect for celebrating finding the one! 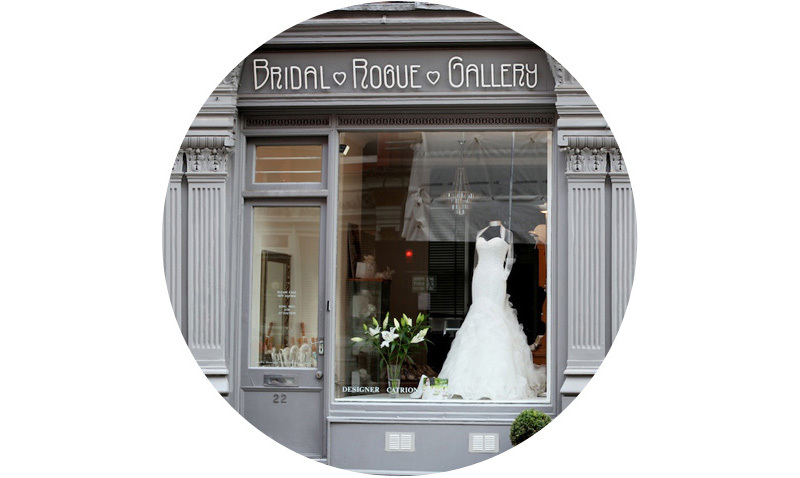 The newest addition to Bridal Rogue Gallery opened a in the summer of 2014 and has been flourishing ever since! The shop is a short walk from the centre of the popular spa town.